One specific book that had a big impact on me when I was young and studying in France was "An autobiography" by David Ogilvy. Turns out this guy was a successful chef at 20, and a loser at 25, and again a successful person at 30 and then a loser at 35, and then he founded "Ogilvy & Mather" and became successful again at 40. It's a short book, I read it in one night. Turns out, doing things your way may be difficult sometimes, but if you keep doing what you think is right and learn from your mistakes and successes, everything will be alright in the end. I was wondering whether to stay in France and settle for a developer job (though I did not like programming very much) or return to Romania and start something on my own (I did not know what exactly). I made the right decision to return. Whatever David Ogilvy may have lacked in money and credentials, he more than made up for with intelligence, talent, and ingenuity. He became the quintessential ad man, a revolutionary whose impact on his profession still reverberates today. His brilliant campaigns went beyond successful advertising, giving rise to such pop culture icons as the famous Hathaway shirt man with his trademark black eyepatch. His client list runs the gamut from Rolls Royce to Sears Roebuck, Campbell's Soup to Merrill Lynch, IBM to the governments of Britain, France, and the United States. How did a young man who had known poverty as a child in England, worked as a cook in Paris, and once sold stoves to nuns in Scotland climb to the pinnacle of the fast-paced, fiercely competitive world of advertising? Long before storming Madison Avenue, David Ogilvy's life had already had its share of colorful experiences and adventure. 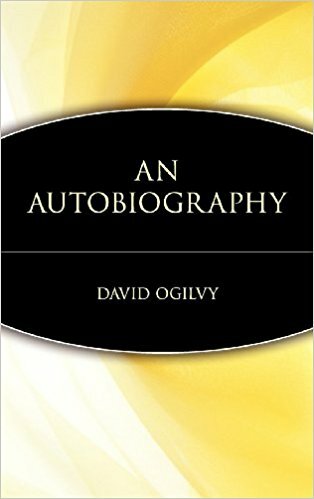 Now, this updated edition of David Ogilvy's autobiography presents his extraordinary life story and its many fascinating twists and turns. Born in 1911, David Ogilvy spent his first years in Surrey (Beatrix Potter's uncle lived next door, and his niece was a frequent visitor). His father was a classical scholar who had played rugby for Cambridge. "My father . . . did his best to make me as strong and brainy as himself. When I was six, he required that I should drink a tumbler of raw blood every day. When that brought no result, he tried beer. To strengthen my mental faculties, he ordered that I should eat calves' brains three times a week. Blood, brains, and beer: a noble experiment." Before marrying, his mother had been a medical student. When World War I brought economic disaster to the family, they were forced to move in with relatives in London. Scholarships to boarding school and Oxford followed, and then, fleeing academia, Ogilvy set out on the at times surprising, at times rocky road to worldwide recognition and success. His remarkable journey would lead the ambitious young man to America where, with George Gallup, he ran a polling service for the likes of Darryl Zanuck and David O. Selznick in Hollywood; to Pennsylvania, where he became enamored with the Amish farming community; and back to England to work for British Intelligence with Sir William Stephenson. Along the way, with the help of his brother, David Ogilvy secured a job with Mather and Crowther, a London advertising agency. The rest is history. An innovative businessman, a great raconteur, a genuine legend in his own lifetime, David Ogilvy is one of a kind. So is his autobiography.